Describing the trial as a "complete success", they said that all the mission objectives were met during the test. "The trajectory of the trial was tracked by a battery of sophisticated radars, telemetry observation stations, electro-optic instruments and naval ships right from its launch till the missile hit the target area with pin point accuracy," defence sources confirmed. India today successfully test-fired its short-range nuclear capable ballistic missile Agni-I with a strike range of over 700 km. The missile test was done from a test range off the Odisha coast, defence sources said. The indigenously developed surface-to-surface missile was launched as a part of a periodic training activity by the Strategic Forces Command or SFC of the Indian Army to consolidate operational readiness, they said. 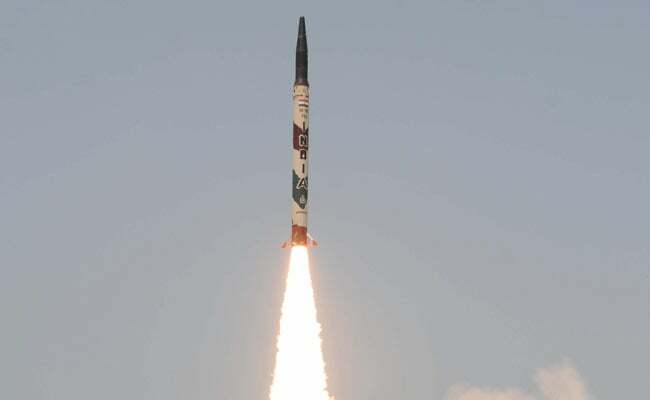 The state-of-the-art missile was launched at around 8:30 am from a mobile launcher at Pad 4 of the Integrated Test Range at the Dr Abdul Kalam Island, formerly known as Wheeler Island, sources said. Describing the trial as a "complete success", they said that all the mission objectives were met during the test. "The trajectory of the trial was tracked by a battery of sophisticated radars, telemetry observation stations, electro-optic instruments and naval ships right from its launch till the missile hit the target area with pin point accuracy," the sources confirmed. The sophisticated Agni-I missile is propelled by a solid rocket propellant system and is equipped with a specialised navigation system that ensures it reaches the target with a high degree of precision, they said. The missile, which has already been inducted into the armed forces, has proved its performance in terms of range, accuracy and lethality, the sources said. Weighing around 12 tonnes, the 15-metre-long Agni-I can carry payloads up to 1,000 kg and is capable of hitting a target beyond 700 km. The missile is also capable of carrying nuclear warheads. The Agni-I was developed by the Advanced Systems Laboratory or ASL in collaboration with the Defence Research Development Laboratory (DRDL) and the Research Centre Imarat (RCI). The missile was integrated by the Bharat Dynamics Limited, Hyderabad. The Advanced Systems Laboratory is the premier missile development laboratory of the Defence Research and Development Organization (DRDO).